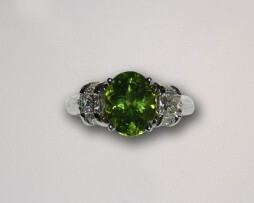 Lady’s 14kt white gold custom made ring containing one Arizona peridot and 0.75 carats of H color and VS clarity diamonds. 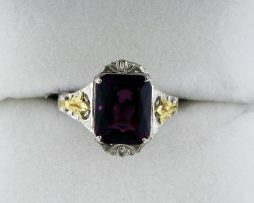 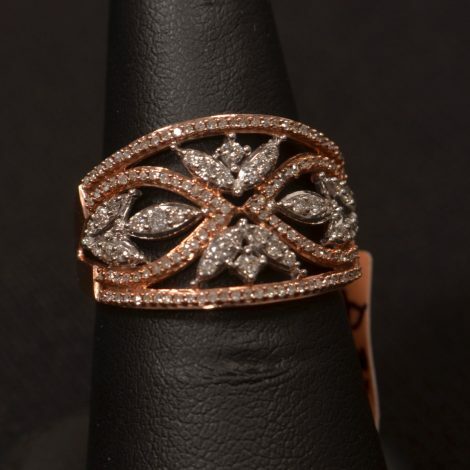 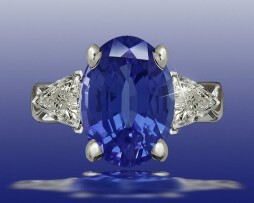 Ring weighs 6 grams and is priced at $3,375.00. 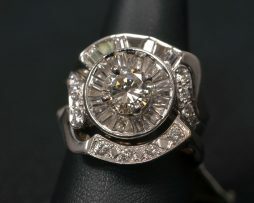 Vintage platinum 14K white gold 3 ring wedding set.